I’ve made a number of attempts at writing a novel over the years. While I’ve succeeded at writing and producing plays and screenplays, a finished novel has eluded me. There’s one series in particular that I’ve been working on in one form or another for about five years now. On the first draft I got seven chapters in before restarting, writing another seven chapters, restarting again, writing another two chapters, and then starting over again. The fourth draft has been more successful. I had a few of the main plot points figured out, but I was still flying by the seat of my pants for the most part. This time around, I got twenty five chapters in and just… hit a wall. It’s not that what I had was bad. I actually like most of it. But I felt like the last few chapters had the characters spinning their wheels, venturing off on this mission, and then that one. Something was missing, and I just couldn’t put my finger on what it was. It was around that time that I had to focus on finishing post-production for Uncommon Law, so I set the book aside for a while as I completed the movie. When I was finished with that and went back to the book, I realized I still didn’t know where I was going with it. And that’s when I knew I had a fundamental flaw in my writing process. Whenever I’ve written a play or a screenplay (you know, those things I’ve actually completed and put out in the world,) I’ve had an outline that I worked from. However, anytime I’ve written fiction, I’ve been a pantser, someone who just writes as it comes, without any outlining or significant planning. Which, I realized, may be why I’ve never actually finished a book. Some of this probably goes back to the times I’ve participated in NaNoWriMo, which has traditionally been the domain of pantsers. Now, don’t get me wrong: There’s nothing wrong with pantsing (unless you’re in public, in which case nobody wants to see that.) It’s great for some people, but it just wasn’t working for me. I had to try something else. I searched online for different outlining methods, but none really struck my fancy. In my search, though, I saw a number of people on Writer Unboxed and the NaNoWriMo forums recommend K.M. 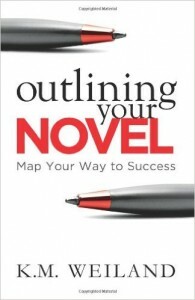 Weiland‘s Outlining Your Novel: Map Your Way to Success . Enough people seemed to swear by it that I decided to give it a look. Reading through it, I felt like it had some good info in it, but I wasn’t certain how much of it would really be helpful. But hey, the old method wasn’t working, so I figured it wouldn’t hurt to take a shot at putting Weiland’s lessons into practice. I set aside my in-progress novel and pulled out an old idea from over a decade ago (that longtime readers may remember as my short-lived fantasy web comic “Into The Black.”) I had jotted down various ideas or thoughts that had came to mind over the years, but I’d never actually written it. I believed it had a lot of potential, though, so I knew it would be a good candidate to try out the lessons from Outlining Your Novel. I’m not even a third of the way into the steps listed in the book, and I’m already a believer. Not just in a “hey, this kinda works” way, but in an “I’ve got to obnoxiously tell all my writer friends about this book” sorta way. One of the first things the book has you do is list all the potential “What If” scenarios that could occur, and it encourages you to write down everything, even if it seems ridiculously silly. Following that, you pick out the ones that have the most legs or that give you a visceral reaction, and you extrapolate like crazy on those. Just from doing that exercise, I not only learned things about my characters that worked so much better than the notes I’d already written down, but I’d also figured out what the story should be about and the right angle to take to introduce this world. Some people say they don’t like outlining because it takes away the exhilarating sense of discovery that comes from writing, but damn, I was getting that exact same feeling from brainstorming these ideas up front. Another recommendation the book made which has been extremely helpful to me has been to do the brainstorming/outlining process by hand. Way back in the day, I used to write all my notes out on notebook paper in three-ring-binders, but when I was in college I switched to doing everything on a computer. In doing so, I found that I’d fallen into one of the traps Weiland mentions: When you’re writing on the computer, it feels so permanent. I had a lot of ideas that would come to mind, but I wouldn’t type them up because I didn’t know if they were worthy of going into my Scrivener file. So instead, they just sat in my mind until I found the right way to incorporate them, or else until I forgot all about them before I could figure out how to make them work. By returning to my old three-ring-binders, I’ve given myself permission to write down every single idea that comes to mind, no matter how implausible, and then when I reach the end of the outlining process and am ready to write, I can transfer all the ideas I’m keeping into the notes on my computer. Also, it means that when I’m outlining, I don’t have all of the distractions of the internet at my fingertips (a big problem of mine.) I still plan to do all the actual writing on my computer in Scrivener, but so far this is working wonders for the outlining/brainstorming process. Boom. Best of both worlds. I’m looking forward to my daily writing sessions each day as I get further along in this outline and continue to make discoveries about this story, the characters, and the world it’s set in. I can’t wait to start writing the actual story, and feel the relief that comes from knowing where I’m going every step of the way. 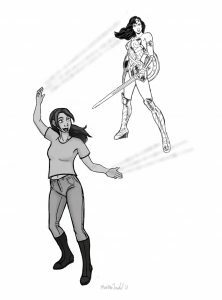 The TL;DR version: I was having crazy trouble writing as a pantser, and K.M. 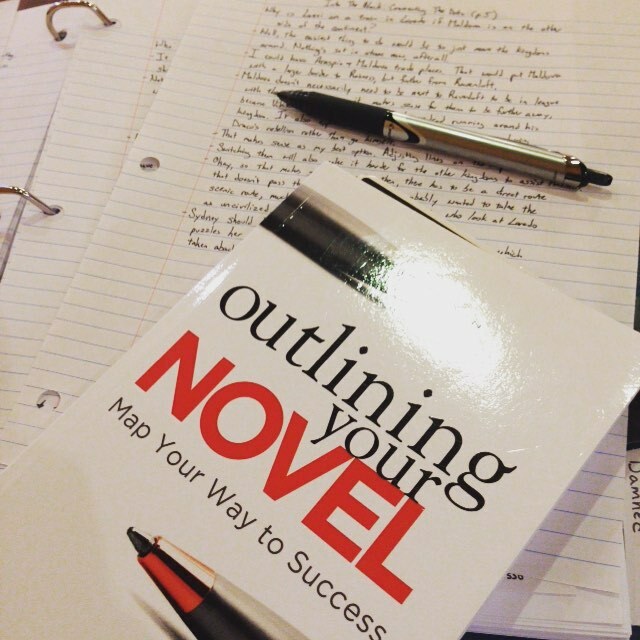 Weiland’s Outlining Your Novel: Map Your Way to Success has completely changed the way I write and reinvigorated my creativity. If you’ve been struggling with writing by the seat of your pants, I highly suggest checking out this book. Hopefully it’ll do for you the same as it’s done for me. 1.) I’m in pre-production on my first feature film, Uncommon Law. This has been consuming most of my non-work hours lately. I’m working on screenplay revisions now, along with researching equipment to buy. I was on the phone today ordering replacement parts for my tripod (harder to track down than you’d think), debating on fronting the cost for some high-end lights, and hoping I can find someone who’ll loan me a Canon 7D so I don’t have to buy that, too. It’d be great if I could find a reliable production manager who I could delegate some of the planning tasks to, so I can focus more on the artistic side. 2.) Still slowly chipping away on my novel. 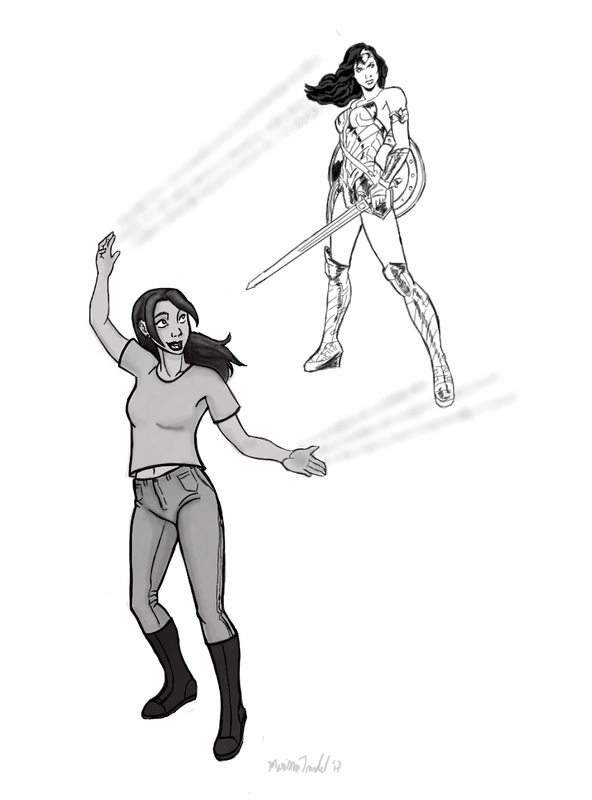 I started work on it last November, but recently I decided to toss out the existing chapters and start from scratch. It wasn’t that the writing was bad, but more that I felt the story could be better told in a different style. I had been writing the book from multiple POVs (ala A Song of Ice & Fire), but realized that the story didn’t NEED multiple perspectives in order to be told. Beyond that, I realized that the story I was telling wasn’t the most effective way to open up an ongoing series and introduce people to this world. So I’ve put all that to the side, and am instead starting fresh with something new. I’ve got tons of pages worth of notes about the characters and the world they inhabit (Scrivener is my friend), and I’m excited to go further with it. You know, after I’ve got the movie wrapped; until then, this is low priority. I’ve got a couple other things in the works, but they’re still in the very early stages. I’m meeting with someone about another project tomorrow, and if all goes well I’ll have something else to announce here soon.